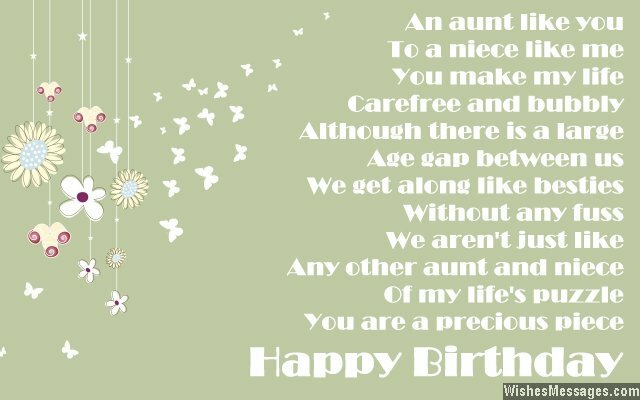 Birthday poems for aunt: Aunts are always special because they can love like a mother and bond with you like your best friend. 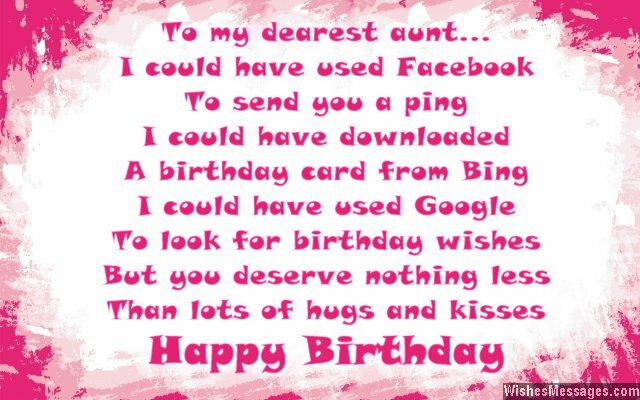 Add a loving touch to your aunt’s birthday celebration by reading out the short rhyme that you wrote on her birthday card. Adorable or funny – whatever you write, make sure it sends everyone into fits of cute giggles. 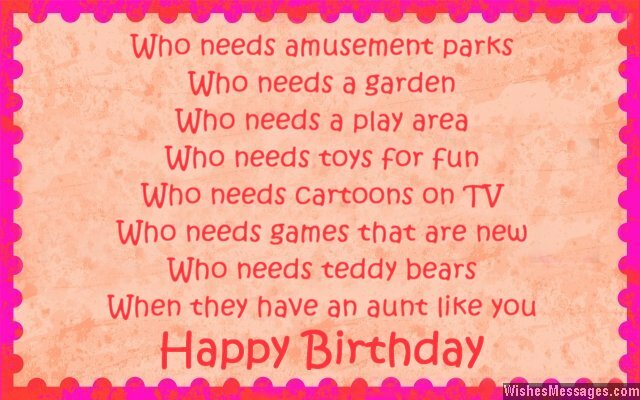 Your aunt will love the fact that you made the effort to create your own poem, specially for her. It will make you her favorite niece or nephew. The only side effect of such a sweet gesture is that she will spoil and pamper you endlessly.